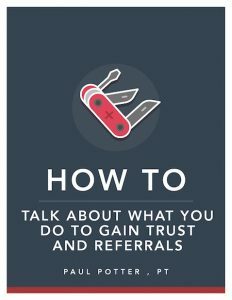 Most marketing and practice building advice you see focuses on increasing referrals and getting more patients in the front door. But chasing after more referrals is a sure way to burn out as it can lead to running around the clinic with your hair on fire. The numbers might look impressive from the outside, but its a hollow shell on the inside. If you want to build a practice that has maximal impact in people’s lives and personally fulfilling there is one thing to construct it upon: relationships. Surprisingly in this age of social media, you still need quality relationships that are founded on mutual trust and respect. Even the most introverted therapist still bumps into potential patients, colleagues or referral partners while at the gym, at school events, or at the hairdresser. A primary reason why many therapists don’t have a thriving practice is that they don’t have a clear and compelling answer to this simple question. I can’t think of any more important than knowing how to explain what you do without sounding confusing, boring or like everyone else. 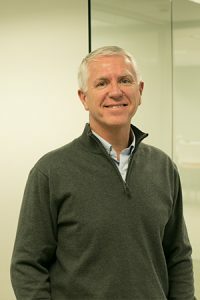 As a healthcare professional, you want to gain the trust and respect of potential patients or referral partners so they or someone they know may enjoy the benefits of your service. Because most people botch their answer to the“What do you do?” question, I’ve developed a how-to guide to help you create a response that feels authentic and memorable. It includes five essential elements and a five-part dialogue to engage people and to grow your practice. 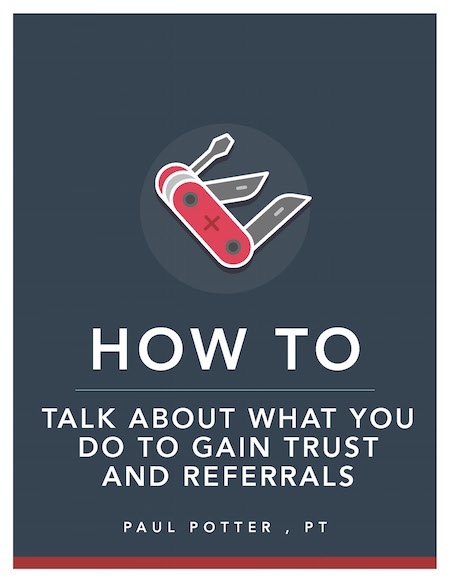 To get your free copy of How To Talk About What You Do to Gain Trust and Referrals today click HERE.